Posted by Kerri Demski on Friday, October 12th, 2012 at 3:14pm. Vancouver sales are down, with the exception of the detached housing market where sales have doubled in West Van and are slightly up in North Van and Vancouver's Westside. 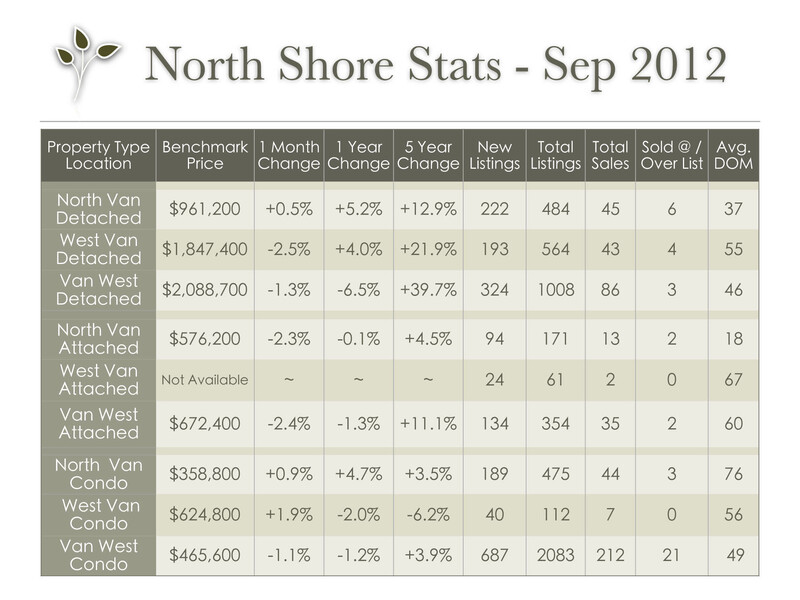 The number of new listings continues to grow however, prices remain stable in many areas. Serious buy ers are out there, taking advantage of the increased inventory and slower pace, resulting in great deals, while others are watching and waiting. Serious sellers need to be realistic about asking prices and home preparation. Most buyers are looking for turnkey properties so it's imperative that your home shows to its fullest potential. Contact us for more information on how to get your home sold quickly while earning top dollar. 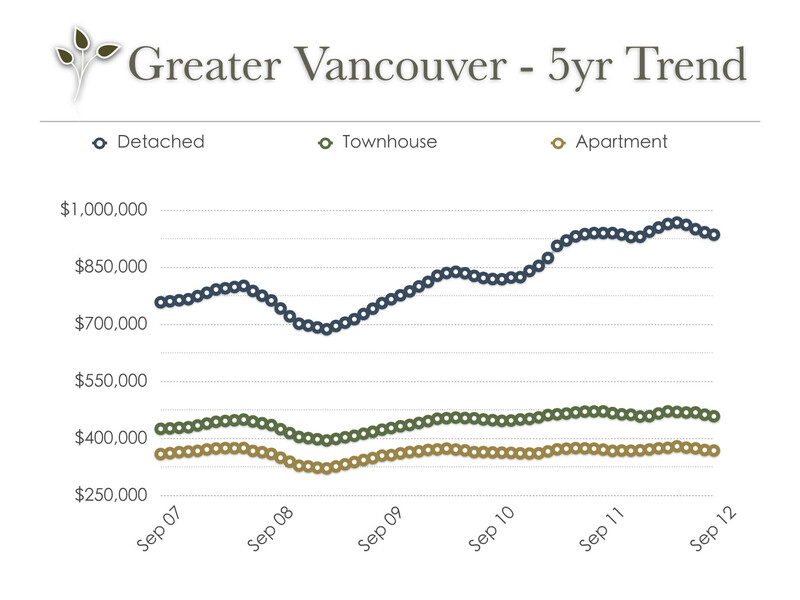 Stats are provided by the Real Estate Board of Greater Vancouver; feel free to view the complete REBGV Stats Package for September, 2012 on their website.